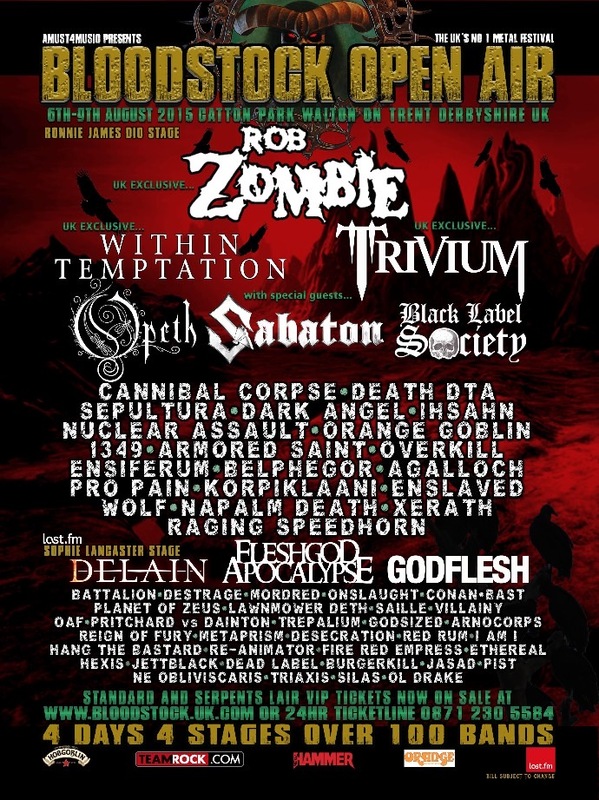 Bloodstock Festival have revealed a handful of bands that will be playing the festival from the 6th to the 9th of August. Making their UK debuts are Australian extreme prog outfit Ne Obliviscaris and Indonesian true metal kings Burgerkill who will be joined by their Indonesian cousins Jasad. Also appearing throughout the weekend will be Manchester-based Pist, the ever-baffling Silas and South Wales outfit Triaxis. To top this announcement off, Ol Drake of Evile fame will be presenting his new solo crew for scrutiny. These guys will be joining headliners Within Temptation, Rob Zombie and Trivium, as well as special guests Opeth, Sabaton and Black Label Society as well as many more of the world’s favourite heavy metal acts. Music industry intern and cursed to be a bass player. I am trying to wear fewer black clothes - so far it's going badly. What Can We Expect From The New Enter Shikari Album? Previous articleSlam Dunk Finally Announce The News We All Wanted To Know – Stage Splits!